Boone County Fire Protection District Headquarters designed by - PWArchitects, Inc. 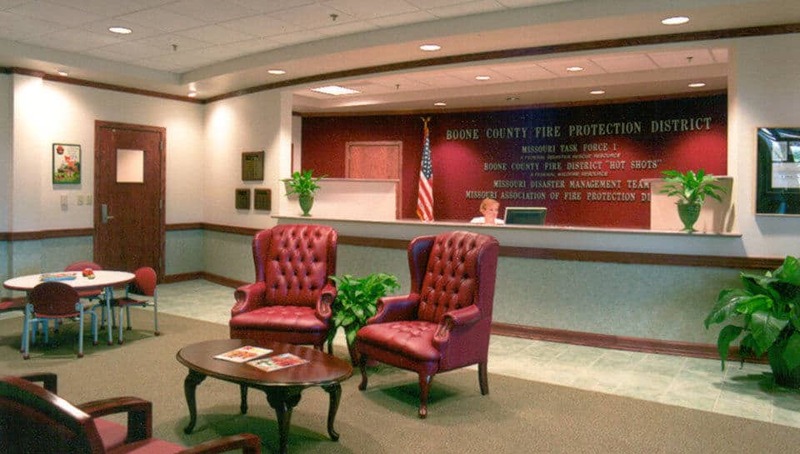 The Headquarters Facility for the Boone County Fire Protection District consolidated the variety of administrative and maintenance activities and spaces, previously used throughout the city and county, into one central location. 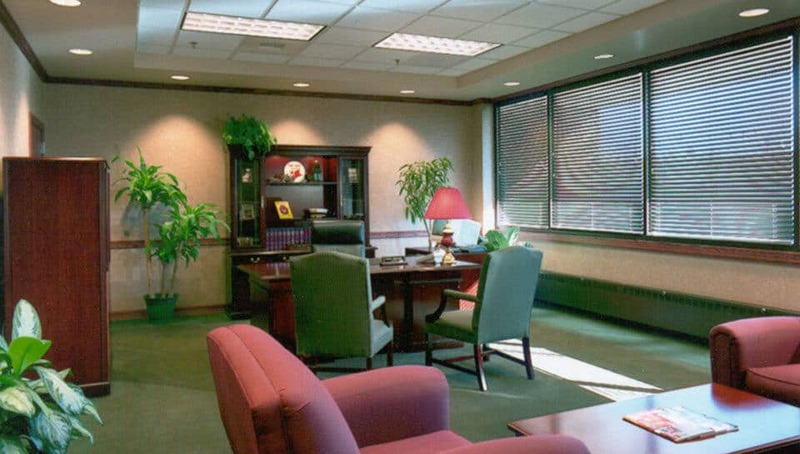 This two-phase project, formerly an insurance claim center and mail distribution facility, now houses all of the administrative functions of the Fire District. 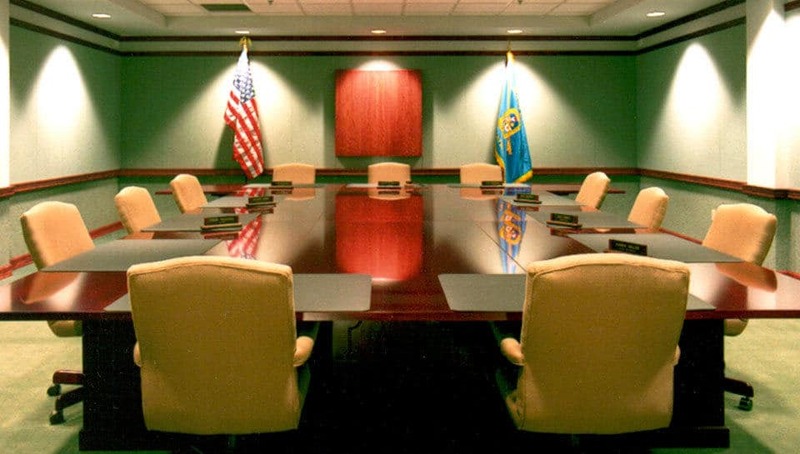 A federal disaster task force warehouse and the maintenance garage/warehouse for the district’s vehicle fleet, along with leasable space and miscellaneous storage round out the space allocation for this facility. One of the first challenges of the project was to provide a single identifiable public entry to the building and change its appearance without adding enclosed square footage to the building. The existing building utilized a garage in front of the main entry points to support claim evaluations, making it more inviting to cars than people. The addition of the “Volunteer Plaza” brought a monumental gathering area together with the main entry to change the character and appearance of the building while focusing attention to one specific point. This also allowed the headquarters to honor the volunteers that support the Fire district through the commissioning of a statue for the center of the plaza.